Marco Pierre White is a renowned British chef, restaurateur, and television personality. He was called the godfather of modern cooking by MasterChef Australia and is the youngest chef ever to be awarded three Michelin stars. He still holds that title to date! Recently Marco Pierre White decided to quit from MasterChef Australia. He has joined the rival Hell’s Kitchen. All this happened because of his feud with MasterChef Australia judge Matt Preston. 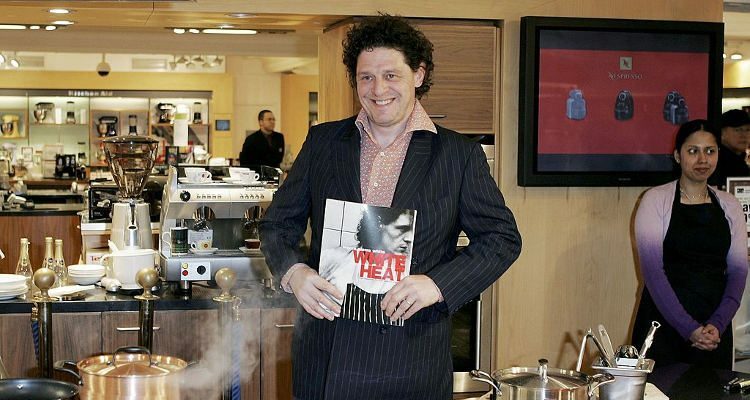 Being invited on MasterChef to judge and assist people who would be entering the professional world was one of the greatest privileges to Marco Pierre White. He loved the opportunity to share his knowledge with younger people on the show. White considers the show as the greatest food show on Earth, which gets more interesting and challenging with each year. Read on to know more interesting facts about MasterChef Australia’s guest judge. Marco Pierre White is the youngest ever chef to win three Michelin stars. White also published several cookbooks like Wild Food from Land and Sea. White appeared as a principal judge on MasterChef Australia: The Professionals. For the tomato sauce, drizzle some olive oil in a pan and set over medium heat. Add onions and garlic and stir. Add 600 grams of cherry tomato halves and cook until the juice begins to release. Add passata sauce and rinse the bottles with a cup water and it add to the pan. Add chicken stock pots, bay leaf, thyme and allow to simmer for 40 minutes, or until it thickens and reduces. Remove from heat and pass through a sieve. Boil water in saucepan and add some salt to it. Add the pasta and cook until slightly underdone. Strain the pasta and drizzle oil over it to prevent sticking. Drizzle some oil in another fry pan. Add cherry tomato halves and chili flakes. Then, add two to three cups tomato sauce, chopped basil, and pasta. Toss to coat. Season with salt, pepper, and grated Parmesan cheese. Serve hot. Harbison, N., “18 Reasons Why Marco Pierre White Is Ultimately The Best Chef Of Our Generation,” Lovin Dublin web site, 2015; https://lovindublin.com/feature/18-reasons-why-marco-pierre-white-is-the-best-chef, last accessed February 17, 2017. White, M., “Penne with Fresh Tomato Sauce,” Ten Play web site; https://tenplay.com.au/channel-ten/masterchef/recipes/penne-with-fresh-tomato-sauce, last accessed February 17, 2017.